What is the Correct Study Plan for M.Tech in Plant Biotechnology Aspirants? Think, what if the only place you could find your favorite orchids was Himalayas and Philippines? How could you have enjoyed their presence around you? Thanks to Plant Biotechnology, it has made possible the impossible. Once the rare orchids, are now, a familiar sight to around us. Well, this is a thumbnail of plant biotechnology. 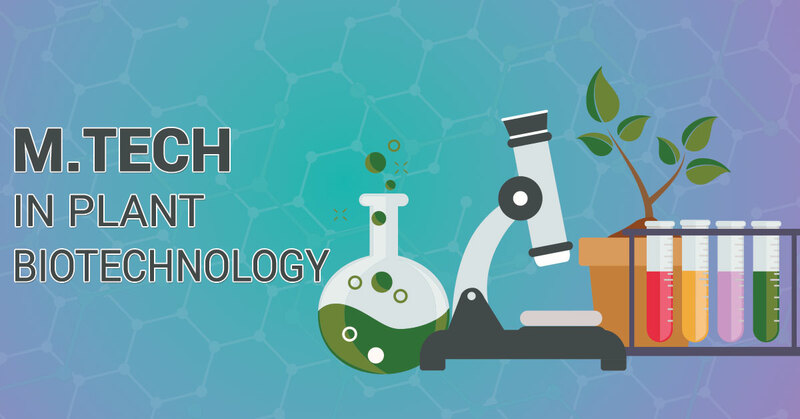 In fact, increase in crop yields, reduction in the amount of pesticides and herbicides used in crops, sustainability of the resources, and many more things are the boons of plant biotechnology. Keep a keen eye while carrying out research experiment. Proper observations will make you skillful and help you in achieving the research objectives. Mix up with the seniors and take their help for researches. While attending laboratory experiments, be attentive enough to focus on every meticulous detail. Record your observations in your files. Also, there might be anomalous results in some cases. It is always better to carry out experiments twice to be fully sure of the recordings. Make a schedule to visit science clubs, and keep a check on upcoming science fairs. It will be beneficial for your summer projects, internships, experiments, and traineeship. These might help you with the information on latest advancements. Turn to your faculty for guidance. Never miss out on reaching out to your theory and lab teachers for advice and clarifying the doubts. Ask them to help you understand the practical application of things. Also, you must keep in touch with them to be updated with the latest job openings in their network which you can take up in the future. Track of updates in the field is one factor you need to focus on! The area is flourishing with many advancements, like – gene and genome analysis, recombinant DNA technology, plant breeding and technology, their evolution, sustainable plant production, etc. Being updated with the significant developments in the area will not only increase your knowledge academically but will also keep you updated with the progress and scope of further study in the domain. Keep looking for areas of research you want to dive in! Visit the government libraries, or other established libraries to gather what you want for your research. You never know, your project might get you recognized at “some” level. Also, getting fellowship under a prominent researcher is one of the bests to happen. In that case, the government will pay you the stipend and bear the study costs while you pursue your research. A set plan is always the first step to reach the goal. The next step is to follow it thoroughly. If one strategy doesn’t work, have an alternative option ready. Push yourself to the limits because the scope is unlimited and with determination, everything is attainable.